Vegetarian doesn't have to mean compromising on restaurant atmosphere. There's nothing you can't get in New York City. You want a burrito at 2 AM? There's probably a Mexican restaurant open an avenue away. In the market for new tires on a Sunday morning? Hop on the subway, you'll find them eventually. Looking for a great vegetarian restaurant for a nice meal out? You're in the right place. 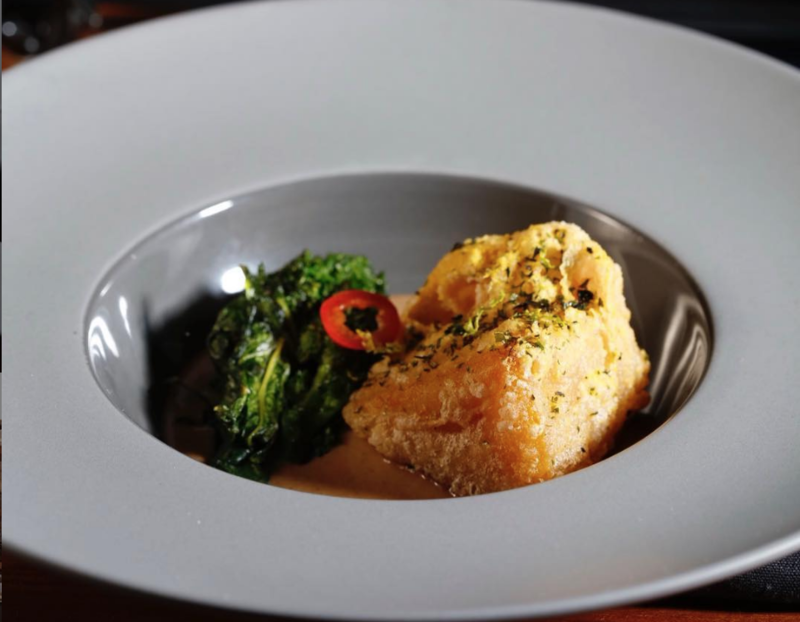 As more and more people give up meat for personal and environmental reasons, chefs and investors are recognizing a new, booming market: vegetarian fine dining. Luckily, there's no better place to try a new food trend than New York City. 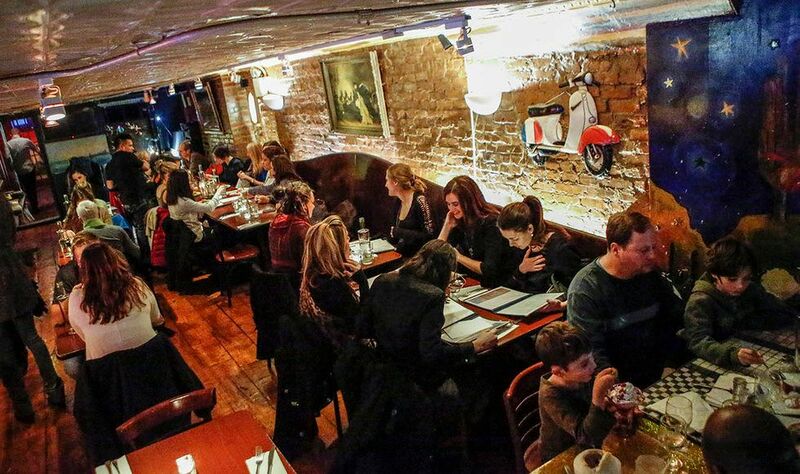 Here's our list of the six best vegetarian fine dining options in the Big Apple. Premiere chef Jean-Georges Vongerichten isn't known for meatless cooking, but that may change given the success of his first vegetarian restaurant, ABCV. Located in the Flatiron district, this chic spot is quintessentially New York, with a primarily white, modern interior and Instagram worthy dishes. Oftentimes, vegetarians have to give up cozy, steak-house-like ambiance in order to find decent meatless food. 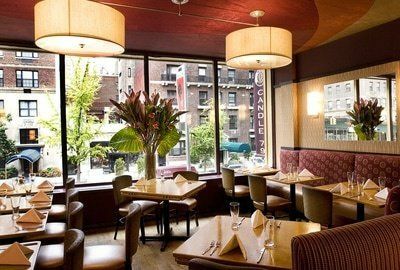 But at Candle 79 in the Upper East Side, diners can enjoy a lovely atmosphere in a bi-level townhouse. The food isn't bad either. 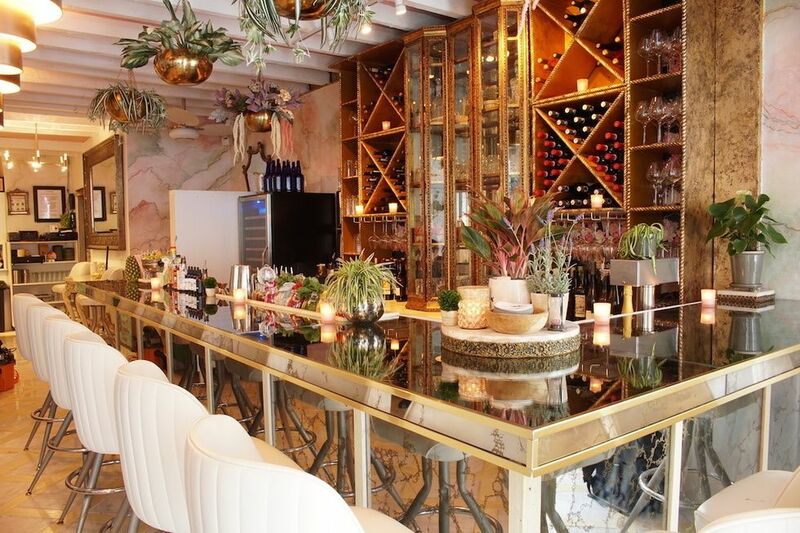 According to Timeout, "Delectable dishes include the seitan piccata, crisp medallions in a light bath of lemon butter and capers, and the saffron-flavored paella, studded with seitan sausage and seasonal veggies." The name is pretty cringey, but this vegan spot is worth the inevitable dad jokes. Located in the East Village, this cozy restaurant by Ravi DeRossi (Bourgeois Pig, Mother of Pearl) is worth the wait time. 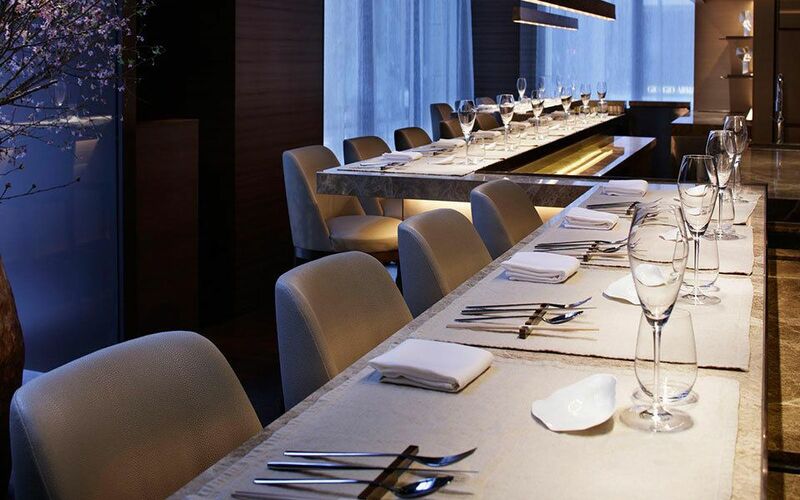 The food is indulgent, delicious, and imaginative, and the interior is dreamy and earthy. What more could you ask for? While this place is a bit off the beaten path for some New Yorkers (Bushwick) we promise it's worth the trek. Often thought of as some of the best Ethiopian food in the NYC area, this semi-casual spot is authentic, delicious, nutritious, and reasonably priced. 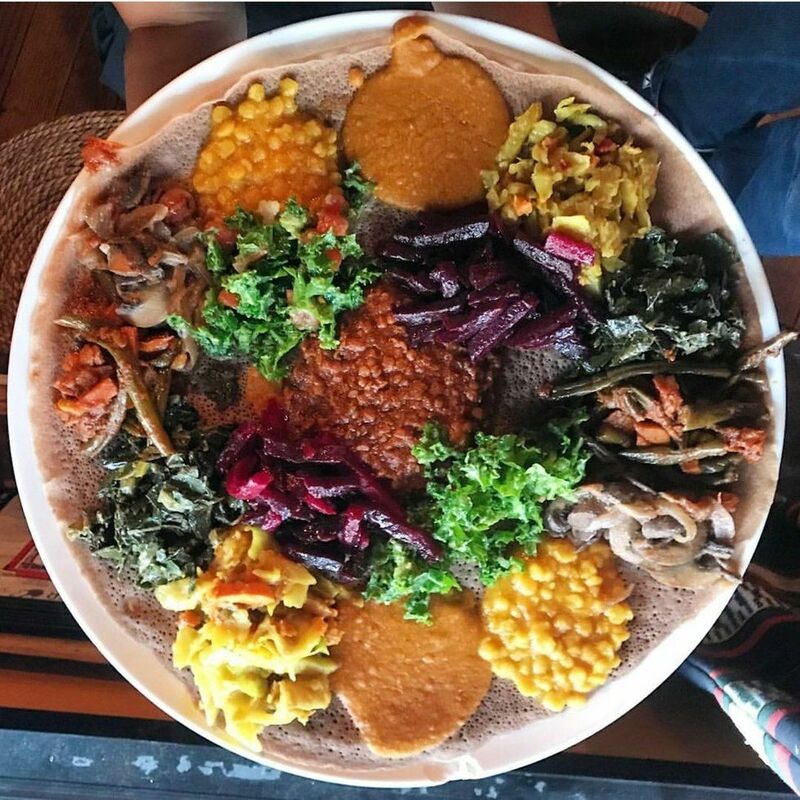 Besides, who doesn't want to be able to say in casual conversation, "Oh there's actually this really great Ethiopian place in Bushwick that we love…"
The East Village is an excellent spot for vegetarian options, in part because of the presence of this long time NYC hotspot. Sleek and hip, Caravan of Dreams is not only vegan, but also specializes in raw food. If you go, splurge for the "live hummus," watch your waiter mash chickpeas for you table side, and get dinner and a show all in one. No, not the movie, the adorable East Village diner. Vegetarianism shouldn't have to be about restraint, and Ladybird proves this by serving up delicious vegetarian junk food (yes, it does exist). Some of the highlights include mac-and-cheese balls and fried avocado croquettes. blog or follow her twitter @BrookeIJohnson.